Last month, I got an email from Dealmates that I got FREE RM 15 credited in my Dealmates account. 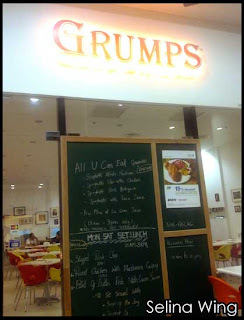 I am lucky and ordered the Grumps @ Dealmates to eat dinner with my sister and dad! Thanks to Dealmates for giving the good chance to the normal members who try to buy the coupon in Dealmates! I bring my family go to SSTwo Mall which is near SS2. My coupon Dealmates for 2 pax - 1x Garden Salad, 2x pumpkin soup, 1x 400g pork ribs and 2x drinks. My dad joined me and my sister, he ordered the Cheesy Crumbed Pork Loin with the mushroom sauce, but when I tried to eat it, I don't feel any cheese inside the pork chop...nevermind, this taste still are good. 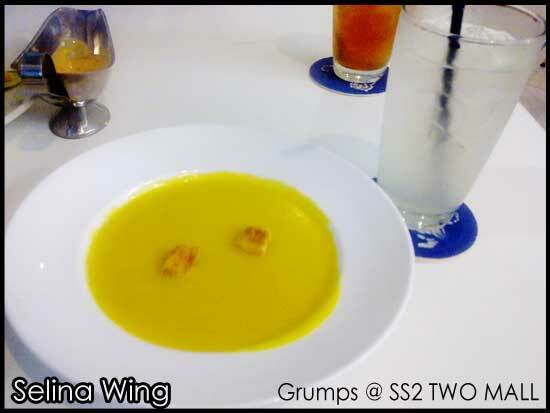 First, they served the Pumpkin Soup and Garden Salad. I felt like it's cream soup. 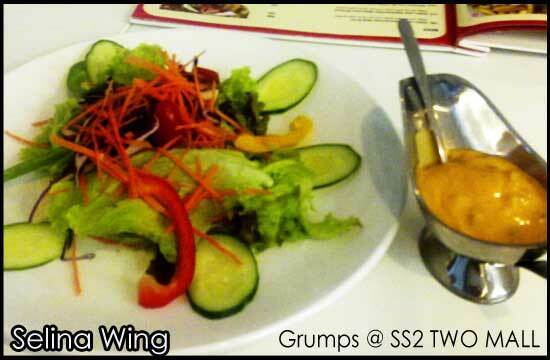 Garden Salad is very healthy, with the Island Mayo. It is good for us to eat the vegetables so much! 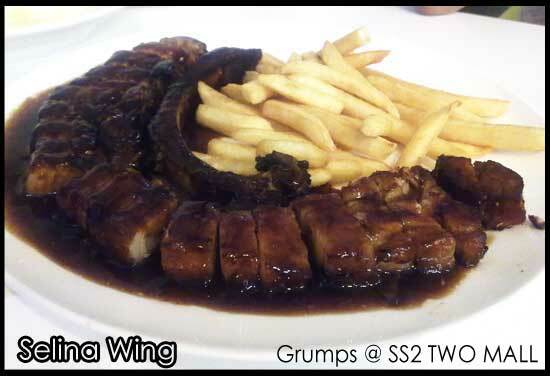 Wow, the pork ribs is really big enough for 2 persons can eat up! My sister and I really love the pork ribs are marinated with black beer. It's easy to bite the pork meat! They make the pork meat chopped into a nice round! The fries also added too. 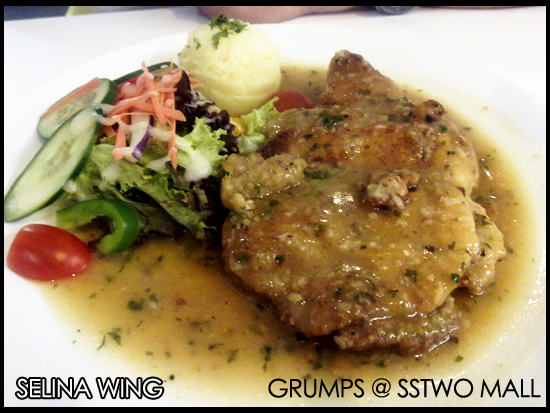 If you go to Grumps, SSTwo Mall or Kelana Jaya, you should order this! When we are very full, the desserts came too! 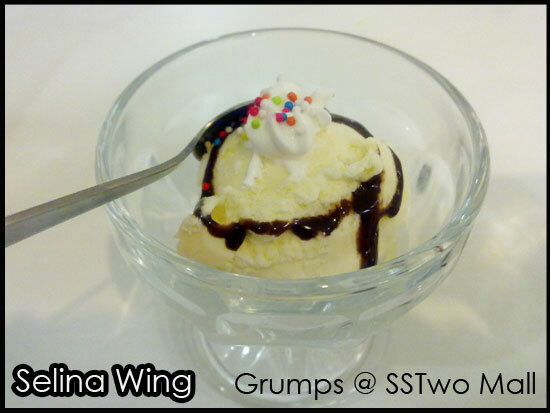 It is just normal ice cream, make us like sweet! Their service are fine, and the prices are reasonable. The Grumps's place are very clean and neaty. 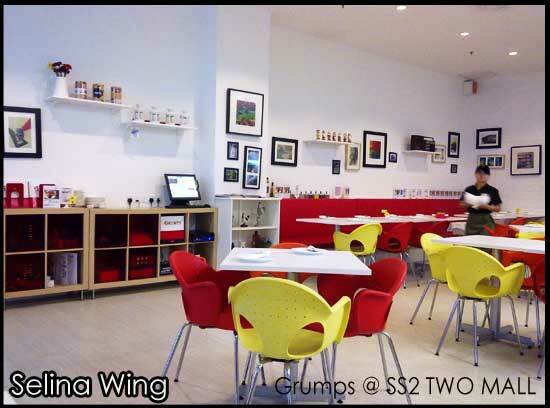 It got two colours; red and yellow, suitable with Grumps logo, but the tables and chairs are okay, simple only. 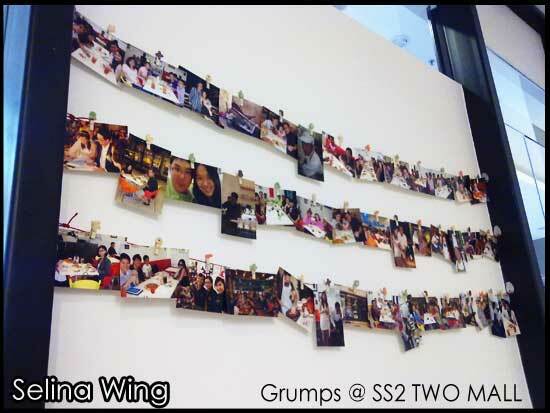 My sister and I saw many photos at the wall beside we sat at the reserved table.